These gluten free butterscotch madeleines are my guilty pleasure lately. 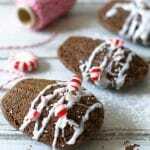 Light and cake-like, you will love how these cookies melt in your mouth. 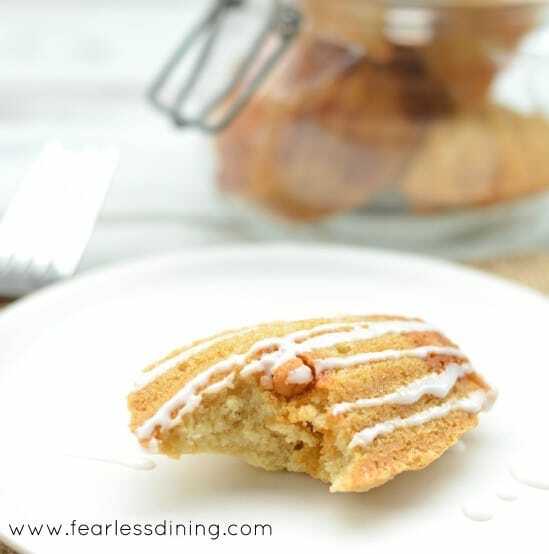 These delicious gluten free butterscotch madeleine cookies are a delicious treat. I feel like I have ignored my madeleines pan lately…I haven’t touched it since early spring when I made these Gluten Free Kumquat Madeleines. In Europe, they would call these cookies madeleines au Citron. I just say they are yummy and have a distinct citrus flavor. It isn’t the pan’s fault, it is mine. My madeleines pan ended up so far back in the cabinet, I completely forgot about it. Maybe this is common for food bloggers because we collect so many fun kitchen gadgets and toys :-). Madeleines are a French sponge cake that is often thought of as a cookie because of its size. The flavor is light and slightly sweet. These are perfect with a cup of coffee or tea. For this craving, I used butterscotch chips. 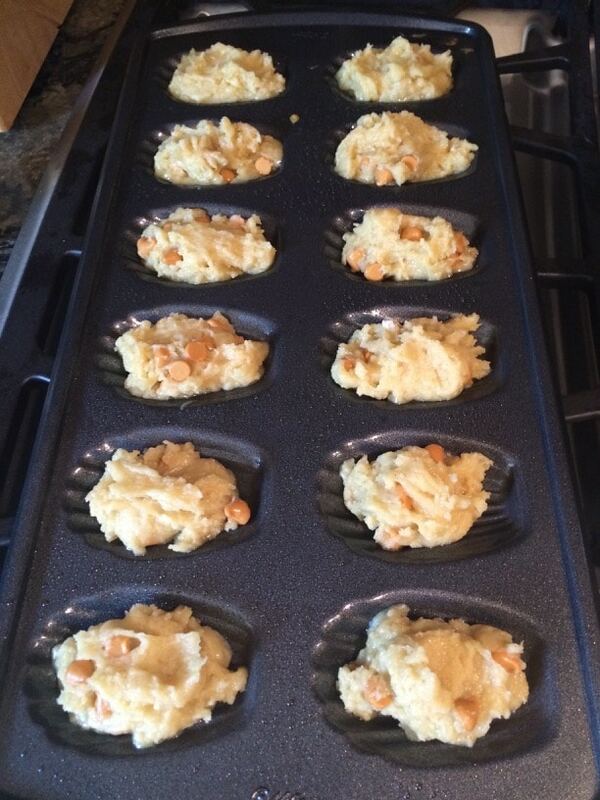 These are definitely not traditional for madeleines cookies…but a craving is a craving :-). 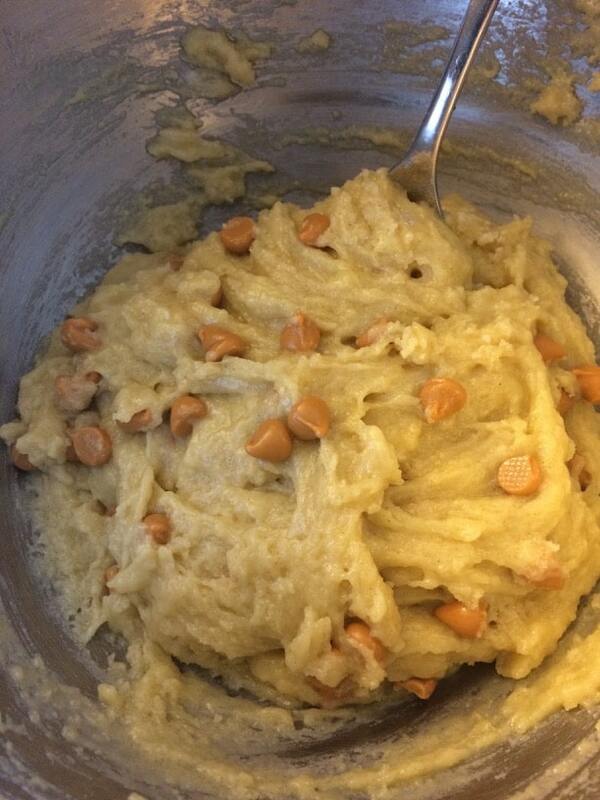 After whisking the dry ingredients to blend, add the wet ingredients and the butterscotch chips. Mix well. Your dough will be fluffy and thick. 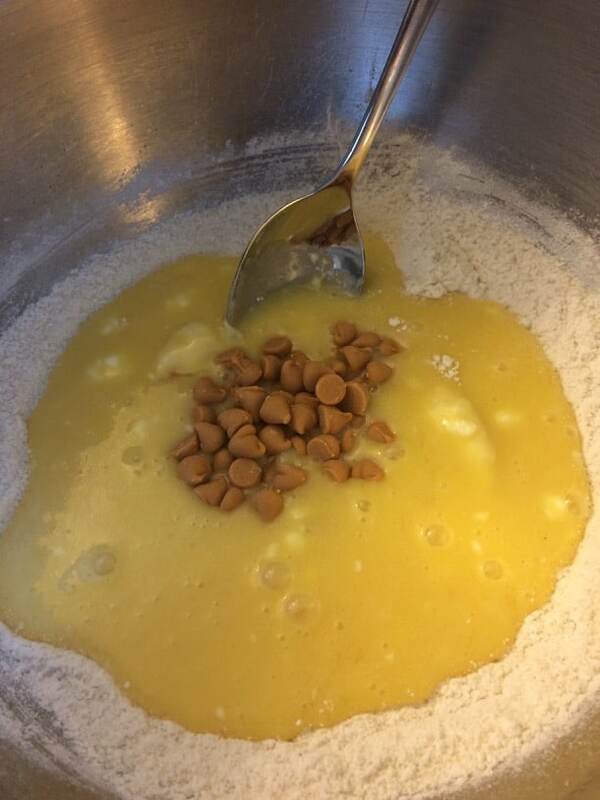 Add a little dough to each Madeleine cake section. Don’t worry that it is blobby…it melts down easily to form the classic Madeleine shape. 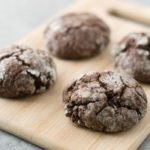 Click here to see all of the cookie recipes on this blog. How to make delicious light and fluffy gluten free butterscotch madeleines. Spray a Madeleine pan with coconut oil. In a large bowl, add flour, sugar, baking soda and salt. In a small bowl, beat eggs and vanilla. Slowly add melted butter to eggs, mixing the whole time. Pour wet ingredients into dry ingredients and add chips. Drop a spoonful of batter into each Madeleine cake section. Remove Madeleines onto a cooling rack. 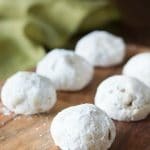 More Yummy Gluten Free Cookies To Try! I’ve never made madeleines, but need to change that. These looks beautiful and I can imagine how good they’d taste with a cup of tea! These madeleines look soo good. So light and fluffy. It’s amazing that they’re gluten free. They look so very good, I always love the way that Madeleines look, such smart little cakes! Wow! These madeleines look incredibly delicious! Definitely interested in trying this recipe! These look incredibly delicious!!! Yummed as well. Sandi! 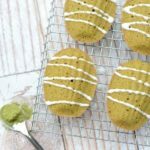 these madeleines look amazing! I’ve yet to try your kumkuat madeleines (I bookmarked it the last time but somehow never got down to it) and now I have 2 recipes on the wait-list to try out! Thanks so much for sharing! Would you believe me if I told you I’ve never had a madeleine before? I know, a little hard to believe but not exactly popular in the Midwest. This look amazing! What beautiful Madeleines! I love the addition of the butterscotch! I hope you give them a try Donna…they are delicious. You are quite the temptress, boy these look good! And I had no idea so easy, my hubby would love these!! I tasted Madelines for the first time that my mom made and they melted in my mouth! So good! 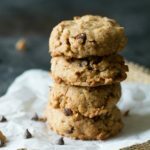 Your butterscotch flavor sounds delicious and would like to try these too! I can make butterscotch Madelines at home? I had no idea. Wow! what an amazing recipe. I really like your presentation and your recipe ingredients. Oh I’m so glad you rediscovered your pan. I remember reading how excited you were when you first got it. I love butterscotch but I often forget about it when I bake. These look absolutely delicious. Thank you Christine 🙂 I am glad I found it too! Looks absolutely delicious, even more with the cream on top! These are gorgeous Madeleines Sandi! Pinned and shared! Always roll with the cravings. I love butterscotch chips…In fact I buy them and just eat them like candy. These look perfect. I’d love to share a plate with you over coffee. I used to work in a French cafe, and these totally remind me of that time! There was always a big jar of madeleines on the counter, and man were they popular! I love how you’ve updated the traditional cookie with butterscotch and made it GF. Lovely! Pinned for later. Wow, they look so light and fluffy, gluten free too, so a bonus.